VoIP is rapidly changing the way we think about making a phone call. As the average household is turning away from landlines and toward mobile devices, the mode of connection is changing with it. Whereas traditional telephone services operate on a direct connection, VoIP phone calls uses a process known as “packet-switched” telephony. Voice patterns are converted into digital information and then transported over the internet. This allows for easy communication on a global scale, but requires a powerful internet connection to be a practical alternative. VoIP’s inevitable preeminence is evidence by they way communication technology continues to migrate to an online sphere. Everything from eBay to eHarmony shows how our society will embrace virtual alternatives. Less and less, we rely on physical venues to fulfill our social needs. Digitized telephone service is just this trend taken to it’s logical extreme. The primary benefit of VoIP is the amount of money you’ll save on telecommunications charges. When you tally up the costs of each phone line along with extra features (such as forwarding, conference calling, redirection), communication fees become a major budgetary concern, especially for small start-up businesses. Who wants to spend a fortune on a mess of land-lines that you may not even end up using? VoIP works on the same system a the company’s internet and email, expending only the resources needed for incoming and outgoing calls. Any additional features are usually included for no extra cost, making conference calling and three-way available at your disposal. And then there’s all the equipment; running a call center off land lines requires a PBX system to receive and traffic calls. VoIP providers host PBX services entirely online, eliminating the need for all the wires and data storage. Without all the physical constraints, there’s not even a need for an office. With VoIP, call centers can be mobile, as networks don’t need to channel every call to one location. They can find your operators anywhere, even route calls to their cells. Some services are even set up so that both the customer and the operator can send or receive calls from anywhere in the world with no more hassle than using local numbers. One reason why VoIP is business of the future is because the present might not be completely ready for it. Most of the the current obstacles are related to the reliance on a powerful internet connection. Because VoIP runs on an ethernet, it can be demanding on your company’s allotted bandwidth. VoIP shares its source with your Email engine and any other online operations your company requires. Unless you’re working with a high-speed internet, an excess of online traffic could affect the quality and stability of calls. Even with a high speed internet, the process of sending packets is vulnerable to error. 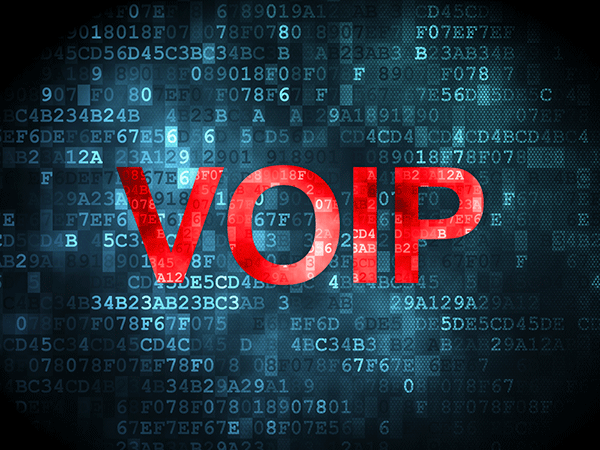 VoIP is like the communications equivalent to human teleportation. You disassemble the message at point A, send it across the web for reassembly at point B. That reassembly is where things can go wrong, leading to distortion on the receiving end. This will be a logistical issue until the internet adapts to the technology. The other major issue is security. Just as any of our online activity is exposed to malware, viruses, or identity theft, VoIP’s are vulnerable to the same threats. Obviously the more delicate or private the information being shared is, the more of a concern this will become. VoIP is working to overcome its existing obstacles, but that doesn’t mean it’s too early to get on the bandwagon. It’s advances offer such benefit to business, it’s implementation in the mainstream marketplace is practically inevitable. It’s better to familiarize yourself with VoIP systems now, because you don’t want to get caught playing catch-up when it becomes a necessity.